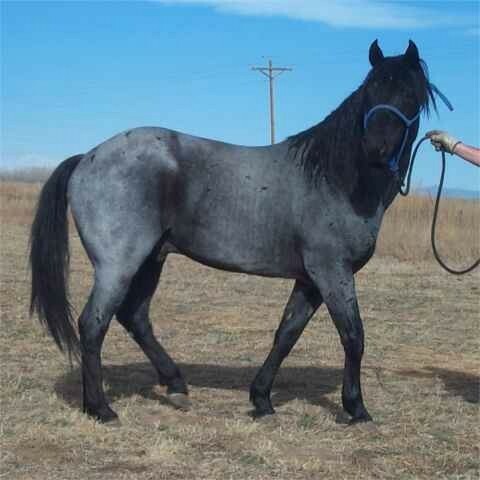 Azul Caballo Amigojr is a blue roan Quarter Horse Stallion. He has 14 crosses to Joe Hancock, 4 of which are through Blue Valentine. Thanks to Robin Sewing of Robin's Nest Farms for allowing me to display this photo of their lovely stallion, isn't he stunning!